Enjoy a sneak peek at what Bala Cynwyd has to offer courtesy of City Avenue Special Services District. More than one-third of the MGKF lawyers were once summer associates at the firm. At Manko, Gold, Katcher & Fox ("MGKF"), we regard our summer associate program as the genesis of our associates and partners of the future. As a boutique environmental and energy law practice, our summer program is kept generally small, up to a maximum of three or four law students. This size allows us to provide each summer associate with a high level of individual attention and legal work uniquely tailored to his or her areas of interest. In addition, it affords each summer associate an opportunity to work closely with attorneys at all levels of experience, from senior partners to junior associates, and to gain invaluable mentoring from these different experiences. Summer associates get to know our firm by getting to know our entire team, not just a few representative lawyers. Our firm strongly believes that professional growth and development at all levels are important components to the success of our practice. As such, we provide our summer associates with diverse training and development opportunities. We typically begin our summer session with a mini-course to familiarize our summer associates with our various areas of practice. In addition, summer associates participate in our weekly training lunches for legal and technical staff, where current and emerging practice issues and business developments are discussed. Summer associates are assigned work typical of that performed by a first or second year associate, with additional guidance appropriate to the student's level of experience. We endeavor to provide our summer associates with a broad spectrum of assignments, which may include, among other things, (1) litigation matters, (2) regulatory and/or transactional matters, (3) site remediation, (4) client counseling, (5) negotiations with government agencies, (6) contract drafting, and (7) research and analysis. In addition, we provide summer associates with numerous opportunities to attend, observe, or participate in out-of-office proceedings such as hearings, depositions, meetings, or conferences. Research and writing are also important components of the summer associate experience at our firm. We work with the students to develop their skills in these areas throughout the summer. By the end of the summer, summer associates typically have produced several written products, which have been reviewed by senior lawyers, and have had direct dealings with the firm's clients. We understand that constructive feedback is invaluable to our summer associates and believe that it is a critical tool for development of our future lawyers. Therefore, in addition to providing feedback during the course of assignments, at the conclusion of each assignment the assigning attorney will meet with the summer associate to review performance on the assignment and provide constructive guidance. Further, each summer associate receives individual, formal evaluations both at mid-summer and at the conclusion of the summer program. Each summer associate is also provided with a summer mentor, typically an associate, who is a friend and can offer guidance and support throughout the summer. The benefits of being a summer associate at Manko, Gold, Katcher & Fox are many. The "open door" culture of our boutique firm means more meaningful interaction with all members of our firm, from junior associates to senior partners. Our compensation package is competitive with larger general practice firms in the region. There is a warm, collegial atmosphere throughout the office, and our lawyers and staff are invited to wear business casual attire in the office every day. We offer more than just work experience during the summer. 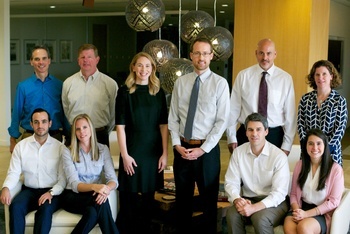 Our summer associates are encouraged to participate in a variety of social and recreational activities with the lawyers and staff, such as concerts, baseball games, museum and local history tours, golf, dinners in town or at partners' homes with lawyers and their spouses, and many other social activities. In addition, summer associates are invited to attend functions of environmental organizations and bar associations that typically occur during the summer. At the conclusion of your summer at MGKF, you will know each of us individually and understand our philosophy of practice. that would otherwise be done by another attorney. what I want out of a legal career. There is a wealth of skills, knowledge, and resources here and everyone seemed genuinely happy to mentor and share advice. one that promotes and supports the success of women in the workplace. We are looking for highly motivated, top-notch law students. A particular interest or background in environmental, energy, or land use law is helpful, but not required. If you are at the top of your class and have high standards and a creative mind, we would like to meet you—and you would probably like to meet us. MGKF attorneys are smart, focused, creative, and enjoy a unique balance between their work and the rest of their lives. For information on how to apply to our summer associate program, please see our Law School Recruiting page, or contact our hiring partner whose contact information is listed on this page. MGKF is the perfect opportunity for a law student to learn and develop practical legal skills. I was given sophisticated assignments and worked on them in a collaborative environment. Although I lacked a science or technical background, everyone was willing to take the time to help me understand the complex issues my cases posed. The work I received was real, high-level matters that included drafting a portion of a reply brief filed with a federal district court to various research assignments and intense transactional work. My supervising attorneys ranged from founding partners to young associates and each person, regardless of stature, took the time to meet with me individually to go over my work product. The firm’s atmosphere is unique in that everyone is genuinely interested in you as a person, not just as a professional. From my first day in the office, I became a part of a tight-knit legal family that cared about its clients. I highly recommend this summer program for any law student that has an interest in being challenged with sophisticated work, regardless of that individual’s background. Spending my first summer with Manko Gold was an outstanding introduction to the legal world that exceeded all of my expectations.The work, even though in a niche area of law, was varied and substantive. I was not once given an assignment that did not have a critical and meaningful impact on a client. There were opportunities for site visits and conference calls so you can see your efforts put into practice. Partners and associates alike devoted time to provide detailed feedback on your written and oral work. The dedication to professional growth combined with the interaction with so many nationally recognized legal minds made my summer at Manko an excellent starting point for my professional career. What makes this firm truly special and unique is the collegial atmosphere. There is truly no better word than familial to describe the vibe the firm has. The ability to work with people who care just as much about your personal life as they do your professional life is invaluable. Manko Gold has found a way to maintain a perfect balance of both a professional and relaxed culture. I could not be any happier with my summer experience. MGKF structures the program so that it accurately reflects what it would be like to work at the firm full-time. This is true both professionally and personally. From a professional standpoint, I was given wide-ranging assignments from different specialties. As I was new to environmental law, I found all of my projects to be intriguing and challenging. Also, assigning attorneys as well as my mentor made themselves available to review and critique my submissions. As a result, my legal writing skills improved substantially over the course of just ten weeks. From a personal standpoint, everyone makes a sincere effort to get to know the summer associates. Through organized summer events, informal lunches, and even just walking around the office, I gained a better understanding of the firm culture and ethos. Manko Gold is a unique law firm in that it balances a highly sophisticated practice area with a comfortable, friendly work environment. I could not have picked a better place to spend my 1L summer. My experience as a summer associate at MGKF exceeded my expectations and I would highly recommend the program. I worked closely with both partners and associates on a variety of assignments, and was always provided with detailed feedback on my work product. In addition to environmental issues, I was exposed to other areas of law—including intellectual property, trusts and estates, and contract—that the firm comes across in its practice. All of my assignments were real and provided me with a sense of what it is like to be an associate at the firm. The firm is also interested in exposing its summer associates to different observational opportunities including depositions and site visits. Social events throughout the summer provided me with the chance to learn more about the firm’s culture and meet the attorneys and staff. There were numerous lunches and events including indoor skydiving, a scavenger hunt across Philadelphia, and a barbecue and dinner party at two of the partners’ homes. Everyone at the firm describes the culture as a “family,” and it was clear how much the firm genuinely cares about the people who work at MGKF. 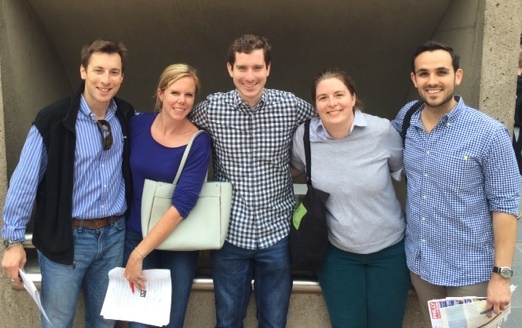 I could not have had a better introduction to the practice of law than my summer at MGKF. From the first day, MGKF promised me I would be given assignments, feedback, and experiences designed to maximize my potential for growth. I found that the firm lived up to that promisethroughout the summer. I was given significant research assignments related to all aspects of the firm's environmental practice, from litigation and day-to-day operations, to transactions and regulatory compliance. Partners were consistently available to discuss my written work and given constructive feedback to ensure it was delivered professionally and was responsive to client needs. From the first week to the last week in the office, my work was trusted and relied upon to make critical decisions. Even more than the firm's emphasis on providing the highest quality legal representation, MGKF's commitment to a welcoming, respectful, and inclusive work environment is exceptional. 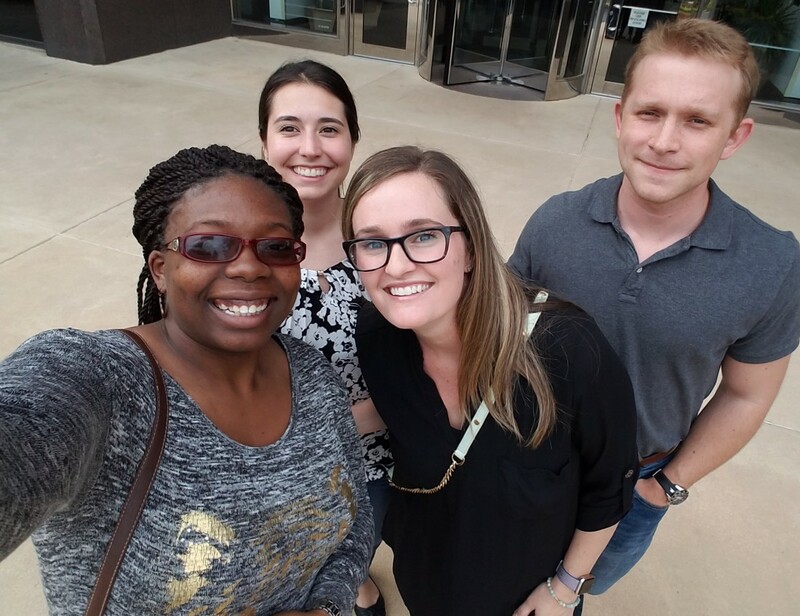 The firm included summer associates in event at partner's homes, provided opportunities for us to meet judges and lawyers throughout the Philadelphia area, and took great care to get to know us as individuals. I am immensely grateful for my summer experience and could not recommend the program more highly to others. Spending the summer at Manko, Gold, Katcher & Fox was a perfect mix of challenging and fun. I worked on a diverse range of assignments, collaborated closely with both partners and associates, and received extensive feedback and mentoring throughout my summer associate experience. And the work is real. My work product mattered to the firm's clients, and I was given the opportunity to interact directly with them about my findings and recommendations. By the end of the summer, I did not just learn about environmental law (although MGKF certainly taught me a lot about all aspects of it), but I gained a better understanding of what it means to be a lawyer--developing and refining arguments, balancing multiple matters, and engaging clients in a friendly yet professional manner. I also enjoyed the culture of MGKF's workplace. Everyone was approachable, eager to help, and genuinely interested in knowing about me as a person and not just a potential employee. The social events, from the Phillies' games to competing in a citywide scavenger, gave me the opportunity to get to know people outside the workplace and forge even stronger bonds. I cannot recommend spending a summer at MGKF more strongly. The quality of the firm's work is incredible. The quality of the people is incomparable. Spending my summer there was unforgettable.